The last thing you need is to install an expensive fence around your property and have to deal, quickly, with water absorption damage, sagging, or just the general sense of blah when you look at your investment. With our cap and trim fence, one of our Western Red Cedar fence designs, you’ll have the advantage of a stunning fence with some of the most durable designs available. 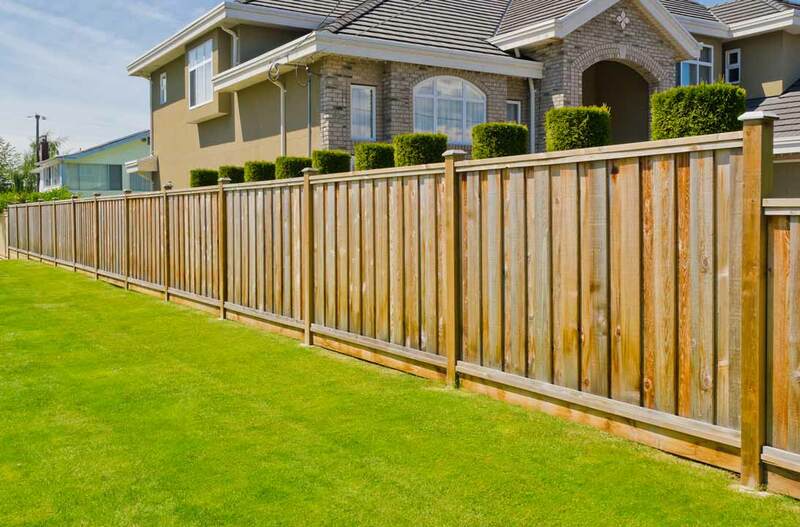 When someone comes to us and asks for a fence that will set their home or business apart from the neighbors, we almost always suggest a cap and trim fence. These beautiful fences offer a simple and clean aesthetic with the beauty and durability of red cedar materials. The finished look that this type of fence offers makes it much different than other cedar options, while also increasing the value of your home. Because this type of fence is so different from the traditional options that many homeowners choose, you’ll want to ensure that your HOA approves your fence choice before installation. But we’re pretty sure that your choice of this upgraded option will elevate your neighborhood’s appearance and certainly provide a stunning backdrop for your yard. One of the reasons that homeowners love this fence option is because of its inherent durability. The design itself, with a 2×6 or 2×8 cedar cap and a 1×4 or 1×2 cedar trim, prevents moisture from being drawn into the tops and bottoms of the pickets. This barrier allows your fence to have a much longer life, and limits any potential water damage to the cap and trim, which can be easily repaired if needed. We also prefer to install vertical pickets with steel supports to ensure that your fence stands tall against the forces of weather and gravity. We make it our mission to create fences that last. Take a look at our gallery of examples and contact Apple Fence for a free fence estimate.